This book presents new research on the capacity of big cities to generate new tourism areas as visitors discover and help create new urban experiences off the beaten track. It examines similarities and differences in these processes in a group of established world cities located in the global circuits of tourism. The cities featured are Berlin, New York, London, Paris, and Sydney. In these cities experienced city visitors are contributing to the ‘discovery’ of new places to visit. Many neighbourhoods close to the historic centre and to traditional attractions offer the mix of cultural difference and consumption opportunities that can create new experiences for distinctive groups of city users. Each of the cities included in the book offers rich experiences of the re-imagining and re-branding of neighbourhoods off the beaten track, and informative stories of the complex relationships between visitors, residents and others and of the ambitions of public policy to reproduce these new tourism experiences in other parts of the city. 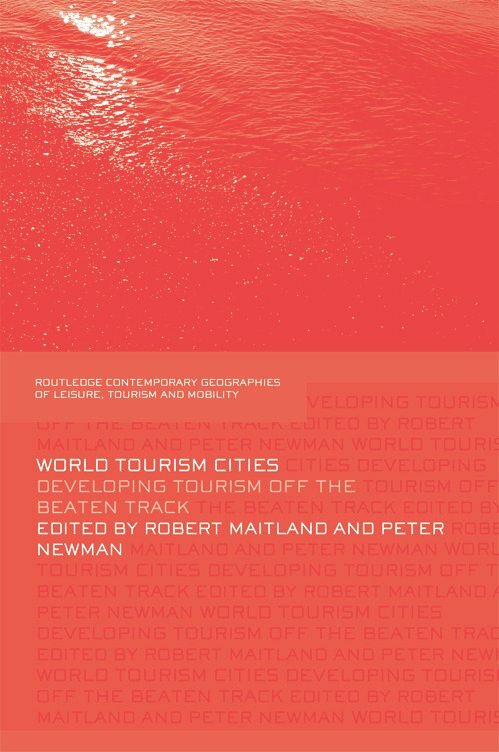 World Tourism Cities brings together current research in each of the cities and relates the often separate field of tourism research to some of the mainstream themes of debate in urban studies addressing topics such as consumption, markets and spaces. Drawing on original research in this important group of cities this book has significant messages for public policy. In addition the book engages directly with a range of important current academic debates – about world cities, about cities as sites of consumption and about the smaller scales at which urban neighbourhoods are being transformed. The range of cities and the messages about the making of attractive places provides a timely resource for those focused in this area and the book will also have an appeal among those experienced and sophisticated city users that it focuses on.